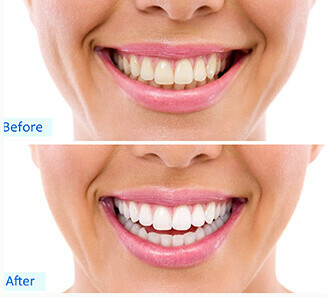 Teeth whitening can restore and brighten your smile, whether you choose our in-office, tooth whitening procedure or Smiles Unlimited home whitening kit, your teeth can be dramatically whiter. The in-office, dentist whitening procedure can be done in one appointment and is safe and effective. At Smiles Unlimited you can enjoy immediate results and a younger, whiter smile without the wait times! Our simple non-invasive treatment will minimise sensitivity and provide quick and noticeable results. We recommend that all patients complete a hygiene appointment prior to undertaking the in-office dentist whitening procedure. This ensures that your teeth surfaces are clean before treatment for the best results. You will also be provided with a complimentary home maintenance kit, which we always have in stock, available and ready for you to use whenever you want. Speak to us today about our complimentary Smile evaluation and get that smile that sparkles brighter and whiter. 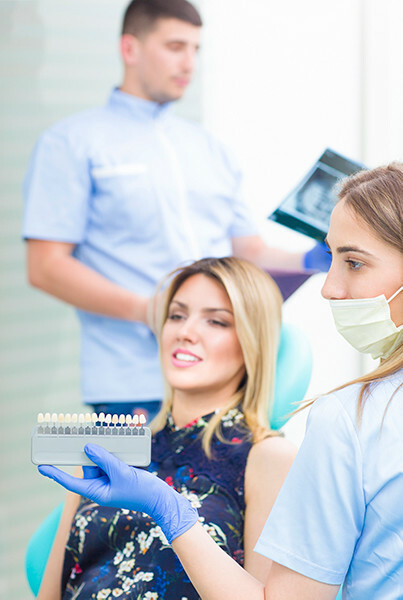 When you have professional teeth whitening by a dentist and follow the professional care advice we give you after your treatment, your procedure will last for many years. If you don't use your home maintenance kits, smoke or drink lots of tea, coffee, wine or soft drinks, the results will not last as long. It is recommended that you continue to visit us regularly for a professional clean as this will help maintain white teeth for longer and remove discoloration that builds up on the enamel of your teeth over time. Tooth discolouration caused by smoking, poor dental hygiene and food and drink can be improved by a professional scale and clean. Teeth whitening is recommended for discolouration that has occurred with age. When discolouration has been caused by enamel thickness or disease/sickness, we will need to take a tailored approach to either lighten or mask the damage. Should I choose professional treatment or use a home whitening system? Whitening can be performed by your dentist in the practice or at home. Over-the-counter treatments may be less expensive, but they require a longer treatment period, and the risks of gum irritation or damage to previous dental work are increased. For quicker and more reliable results, speak to us about in-office whitening or laser whitening. Results from a dentist-supervised whitening procedure can last anywhere from one to five years (depending on your eating, drinking or smoking habits).